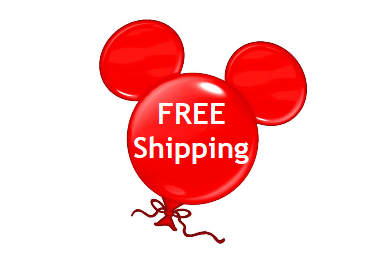 Free Shipping Promotion Restrictions: Valid January 16, 2019 (12:01 am PT) through January 16, 2019 (11:59 pm PT) on select, in-stock items purchased via phone orders and orders placed online at shopDisney.com. Not valid on purchases made at Disney Store and Disney Baby Store retail and outlet locations or Disney Parks and Resorts locations. Free Shipping applies to Standard Delivery on orders sent to a single shipment address in the United States. Offer excludes Shipping & Handling charges, D23 Memberships, gift wrap & gift boxes. Additional Shipping & Handling applies for select items or shipments to more than one shipment address. Merchandise subject to availability. Valid packing slip required for returns and exchanges. Offer subject to restrictions and change without notice. Void where prohibited.